MARINE LE PEN (pictured), the leader of France’s far-right National Front, has been ordered to stand trial in October on charges of inciting racial hatred after comparing Muslim street prayers to the Nazi occupation, legal sources said Tuesday. Le Pen was campaigning to take over leadership of the FN from her father in December 2010 when she made the comparison, complaining that there were “10 to 15” places in France where Muslims worshipped in the streets outside mosques when they were full. 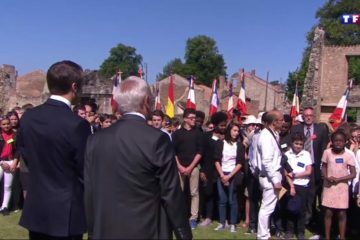 “I’m sorry, but for those who like talking a lot about World War II, if it comes to talking about the occupation, we can talk about it, because that (Muslims praying on the street) is the occupation of territory,” she told a crowd in the southeastern city of Lyon. After the comments, which provoked outrage in France, Le Pen was investigated for inciting racial hatred but the probe was later closed with no result. But a complaint by an association led to a judicial enquiry which was opened in January 2012. The National Front party’s image suffered after a bitter public spat between Marine and her father, party founder Jean-Marie Le Pen. 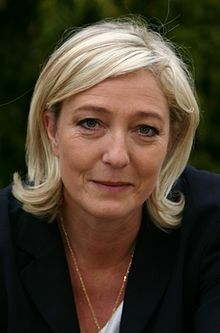 Le Pen was charged in July 2014 after her immunity as a member of the European Parliament was lifted following a vote requested by French authorities. Le Pen told AFP she intended to attend the trial. “Yes, of course. I wouldn’t miss such an occasion,” she said. Since taking over her father’s party in 2011, Le Pen has tried to soften its image and has scored a series of election successes. However the party remains staunchly anti-EU and anti-immigration and Le Pen has seized upon Europe’s migrant crisis to win votes ahead of regional elections in December. The FN is already leading opinion polls in several regions. Le Pen has leaned on traditional party arguments, calling for an end to Europe’s borderless Schengen zone as well as actions seen as enticing migrants to France. However she also stepped up the rhetoric, comparing the flood of migrants on Europe’s doorstep to the “barbarian invasions” of the fourth century. Despite its growing popularity, the party’s image suffered after a bitter public spat between Marine and her father and the party’s founder Jean-Marie Le Pen which led to her ousting him over a series of controversial comments. Marine Le Pen decided enough was enough after her father repeated his view that the Nazi gas chambers were merely a “detail” of history and also claimed France should establish close relations with Russia to save the “white world”. The FN has also been slapped with charges of fraud as part of an ongoing probe into campaign financing. say no more than: oui or non , little Marina ;any more and the bad Juif will get you. 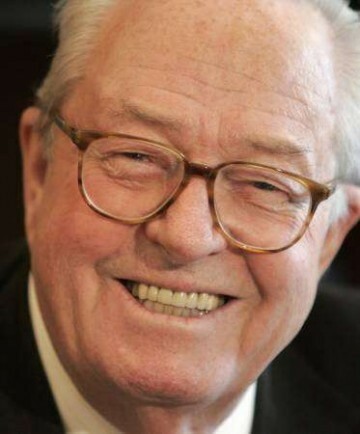 The National Front party's image suffered after a bitter public spat between Marine and her father, party founder Jean-Marie Le Pen.